In Southeast Asia (SEA), human infections caused by free-living amoebae (FLA) such as species of Acanthamoeba, Naegleria, Balamuthia, Vahlkampfia and Hartmannella were occasionally reported. To date, human cases or research work on these FLA have only been detected or performed in five countries which were Thailand, Malaysia, Singapore, Vietnam and the Philippines. Acanthamoeba keratitis (AK) has been increasingly recognised and diagnosed, along with the spread of contact lens use, and most cases were reported from Thailand, Malaysia and Singapore. As for granulomatous amoebic encephalitis (GAE) and Balamuthia amoebic encephalitis (BAE) cases, the only available reports were from Thailand. At least 11 GAE cases (8 were fatal and 3 were cured) have been reported sporadically since the first highlighted case in 1992. While for BAE, only a single fatal case was reported in a 23-year-old healthy male after falling into a swamp during a motorbike accident in 2004. 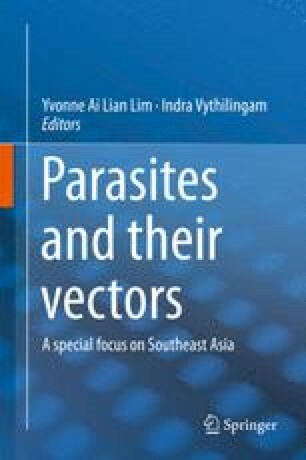 For primary amoebic meningoencephalitis (PAM), an acute fulminant necrotising meningoencephalitis caused by Naegleria fowleri has only been reported in two countries; 12 (10 were fatal and 2 were cured) and 2 fatal cases were from Thailand and Vietnam, respectively. Almost all of the individuals with PAM cases had a history of water-related activities including swimming in canals, rivers, community pools and exposure to contaminated water during a traditional Thailand festival called ‘Songkran’, where people splash water at each other. All of the lethal PAM cases reported in SEA were misdiagnosed as microbial meningitis due to the inability to detect the amoebic trophozoite in the CSF. In cases where amoebae were detected early, a good treatment outcome was achieved and three GAE and two PAM cases in Thailand were cured. The delay in the diagnosis of AK cases may result in severe visual outcomes and require surgical treatment. Finally, the absence of reports or cases from other countries in SEA region does not imply that there were absolutely no human infections. In fact, there might be cases which were undiagnosed, misdiagnosed or overlooked. As most of the FLA diseases have a rapid progression and may also cause death, awareness of the diseases by clinician and laboratory personnel together with the availability of suitable diagnostic tools are crucial in successful treatments of infected individuals. In addition, FLA ecological studies should be regularly performed in order to understand their geographical distribution, environment niche and risk to humans.